Monsignor Strenski, demonstrating concern for the elderly, had established St. Mary's Home for the Aged on Kresson Road in Cherry Hill. He invited the Little Sisters of the Immaculate Conception of Stara-Wies, Poland, to staff the Homes and in September of 1940, three Sisters arrived.Thus the seeds were planted for St. Mary's Catholic Home and Manor. surrounded by the loving presence of God. Looked after, cared for, encouraged and inspired by the Little Servants of the Immaculate Conception, our residents' lives are filled with love, peace and harmony. Serving to nurture, support, protect and enhance one's life and spiritual growth, our dedicated staff has been providing compassionate, high quality care for the elderly since 1952. 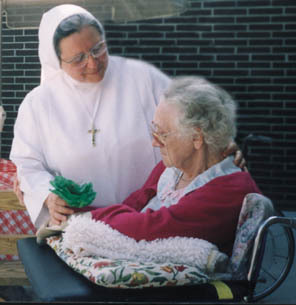 Administered by the Little Servant Sisters of the Immaculate Conception, St. Mary's Catholic Home recognizes not only the physical realities of aging but also the healing power of prayer. Distinguished within the community for its close-knit family atmosphere, the building's design allows for easy and safe accessibility. Cheerful and bright public areas enhance and surround comfortable private and semi-private bedrooms, many decorated with cherished personal belongings. Our beautiful landscaped grounds with a patio and gazebo enable residents to socialize and they are encouraged to spend as much time as possible outdoors. The gazebo sets the scene for a variety of barbecues and picnics where residents can admire the landscaping, savor the delicious food and enjoy the wonderful fresh air. A spacious dining room serves nutritious meals, all specially planned with extra attention to individual tastes and dietary requirements. At St. Mary's Catholic Home, each resident is encouraged to live as full and independent a life as possible. The multi-talented recreation department provides a very important nucleus for daily life. Special attention goes into planning programs that will stimulate interest and create social interaction with volunteers, community groups, families and staff. From special outings to entertainment, we have determined that residents seem to derive more enjoyment from activities organized in smaller groups, and programs have been designed to reflect this. 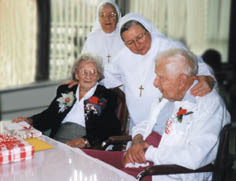 St. Mary's Catholic Home's tradition is founded on a joyful communion of quality nursing care and simple human kindness. Nurses, physicians, recreation specialists, social workers and therapists all work together to implement a plan of care that fulfills each resident's individual requirements. Their commitment to the facility and its residents is always evident. Certified nursing assistants help strengthen and maintain bonds between residents and staff. A sense of pride in one's appearance is fostered by the convenience of a beauty salon, and residents thrive on the attention provided by an active and cheerful volunteer force. Faith and religious observance help to sustain and nourish many of our residents. 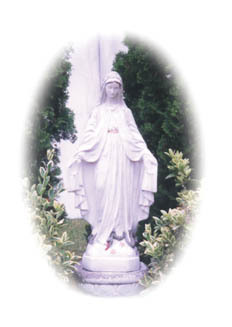 St. Mary's Catholic Home welcomes people of all faiths and offers Catholic Mass and the rosary daily. Sr. Beatrix Wieczorek, L.S.I.C., L.N.H.A. 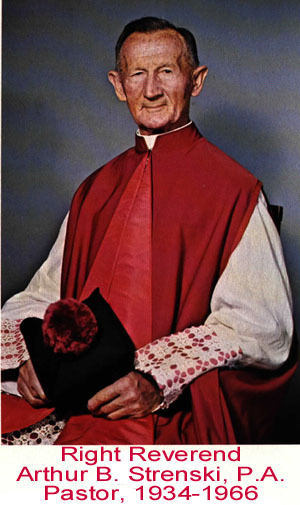 Sr. Frances Szymanska, L.S.I.C., C.A.L.A. Operated by the Diocese of Camden St. Mary's Catholic Home admits all people without regard to race, religion, handicap or national origin.